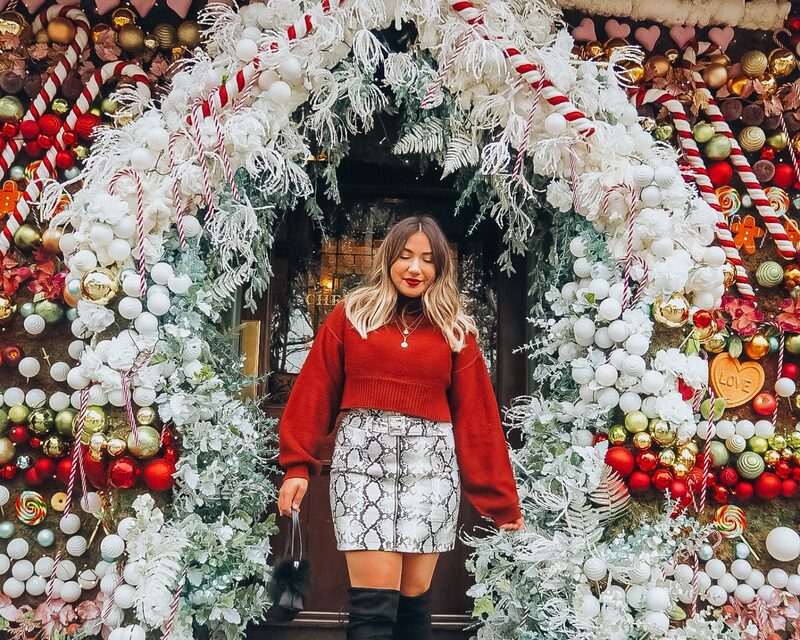 Christmas is around the corner, and what better reason to make a day / weekend of it & visit London town to enjoy all the grand festivities it has to offer. 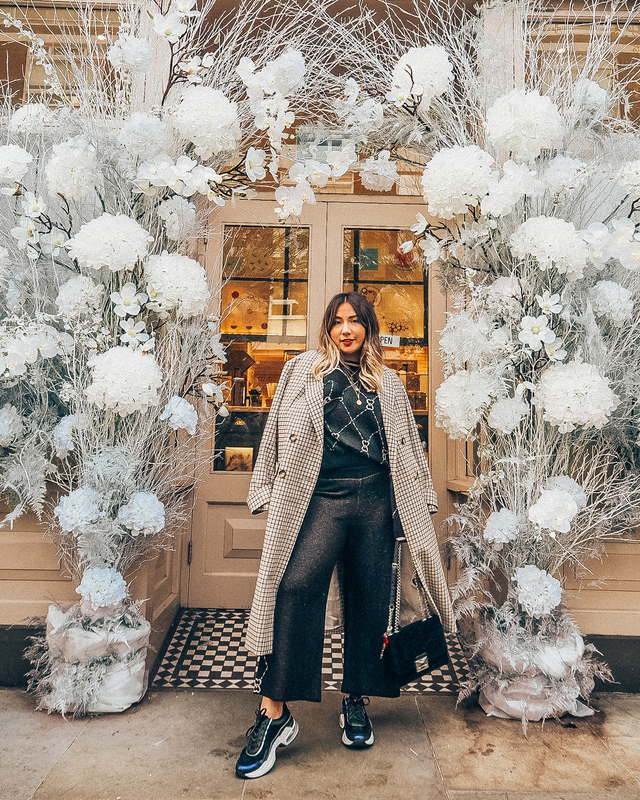 Obvz, a day out in London wouldn’t be complete without some appropriately festive shots to share on the ‘gram. 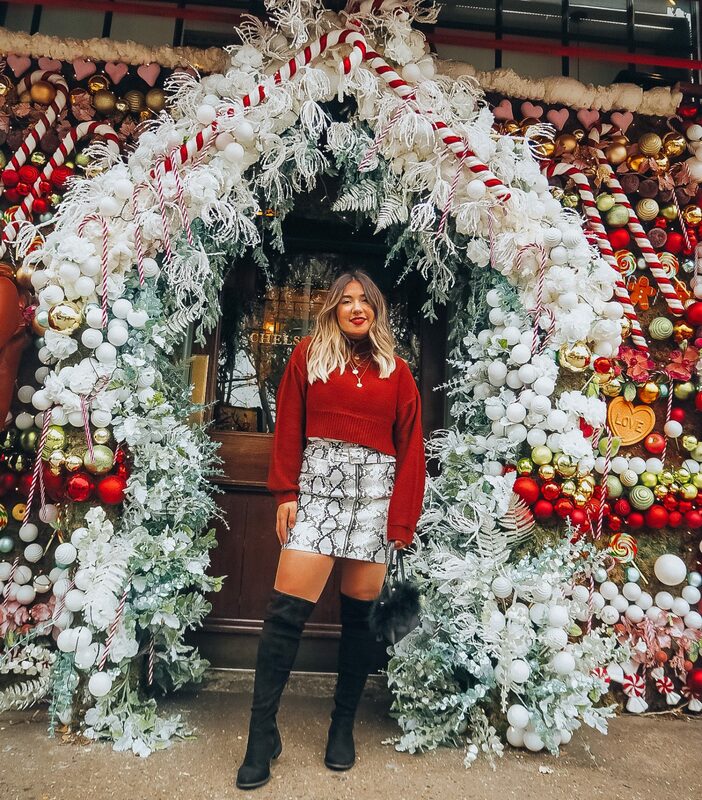 So, I’m taking you guys through my Ultimate Guide To London’s Christmas Instagram Displays. 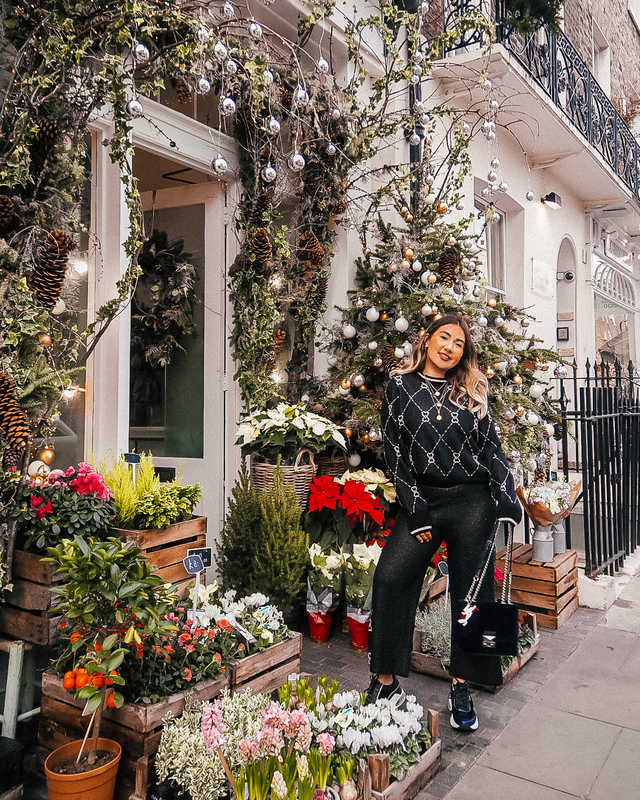 Catch up on the first instalment of the series – Ultimate Guide To London’s Christmas Instagram Displays – with my Instagrammable Mayfair post. 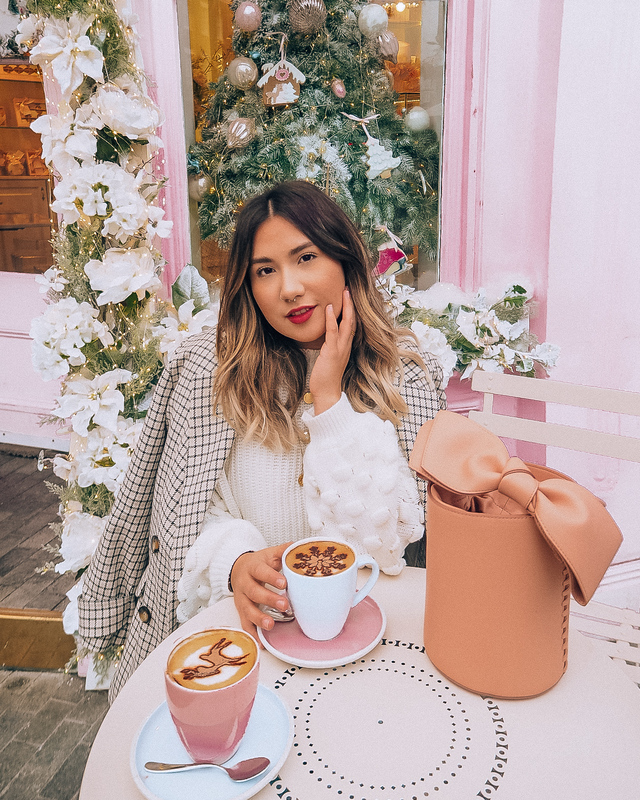 If you want to keep up with me in real-time, give me a follow on Instagram, my feed is full of festive inspo atm! If you’re on Instagram, chances are you’ve seen this display at least once. The Ivy Chelsea Garden has outdone themselves this time. 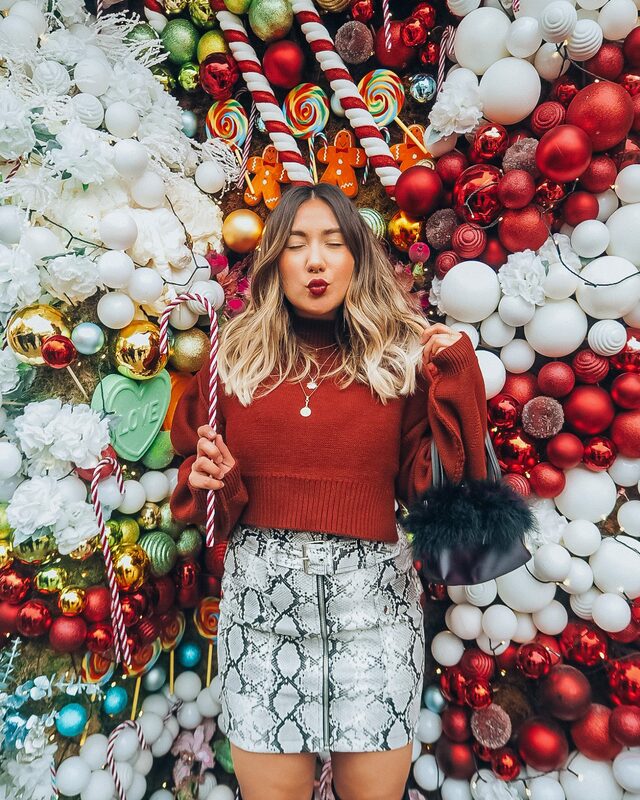 The display is lifesize candy-coated gingerbread house and it’s as good in real life as it looks on the ‘gram. TOP TIP – Ivy Chelsea is on a main road, so it can get very crowded with people trying to get their photos. I would defo recommend getting here early (maybe 8-9am) to have more time and space to get your photos. When I took these snaps for IG, there were at least two other girls waiting for photos. I also stopped to take photos for some tourists too. 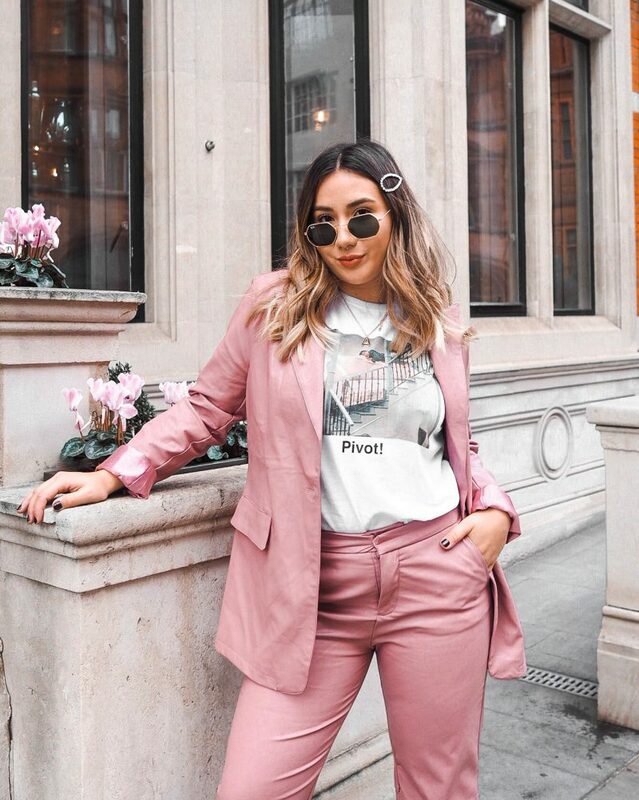 Bloggers, you’re more than likely to bump into other bloggers around here! I did see two gals I knew when I was there last and we had a wee chinwag before getting back to business. 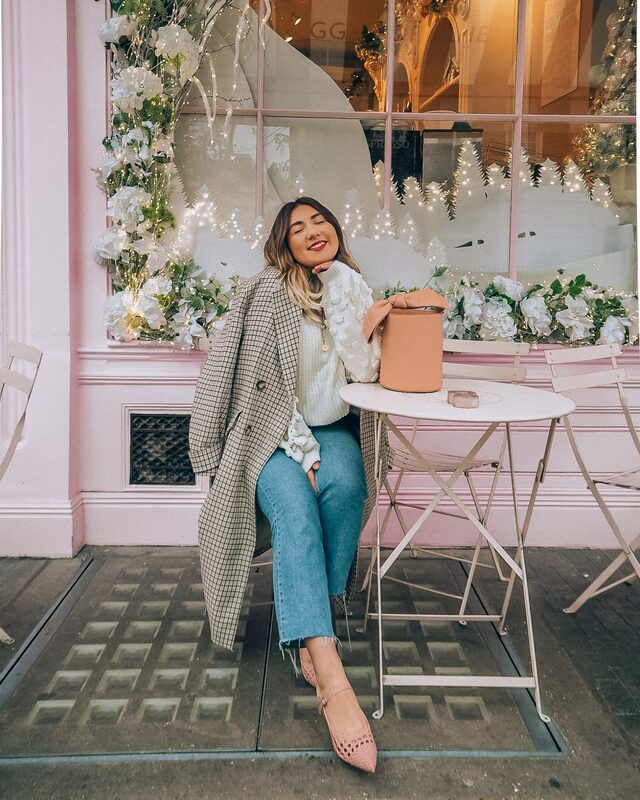 After taking *that* pic outside The Ivy, take a stroll back down Kings road towards Sloane Square and you wont be disappointed. The whole street has such a bright, festive vibe. My sister and I spent a good 45 minutes procrastinating by looking at all the Christmas trees, garlands, and cute indie shops filled with gifting ideas all up the road. There are plenty of photo opportunities as you stroll, including these photos we took opposite the Chelsea Town Hall. Literally just outside of Victoria Coach Station sits one of the best french patisseries London has to offer. Not only does Dominique Ansel look the part, but their baked good are some of the best I’ve tried in the big city. They look fab, and taste even better. I would 10/10 suggest getting the cronut (which changes seasonally) because every single one I’ve tried is ahhhhh-mazing. 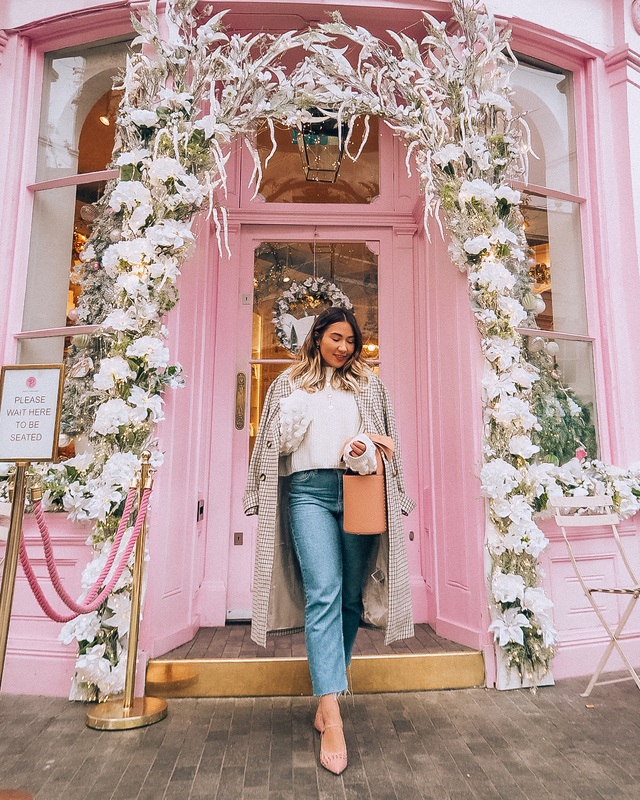 TOP TIP – Get here early if you want a seat by the flower wall (before 10am on weekays, asap really on weekends) and you can now book afternoon tea outside by the flower wall on the run up to christmas, served between 12-4pm I believe. Keep this in mind, because if you haven’t booked you wont be able to sit outside during this time of the day as it will be 100% reserved! 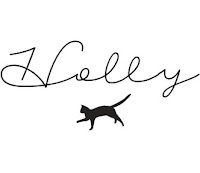 Ummmm who hasn’t heard of Peggy Porshen’s!? 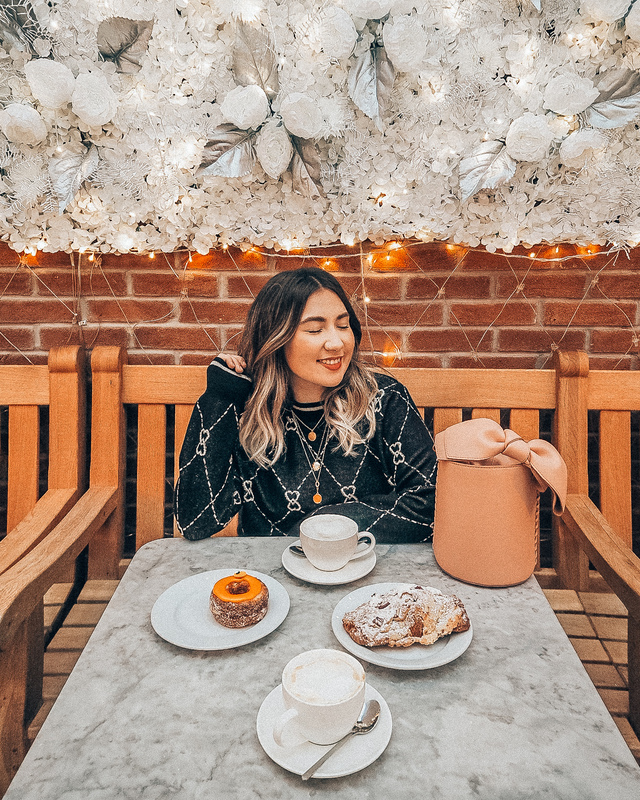 The place has become a bit of a blogger cliche but I still think it’s worth a visit as the coffee is cute af and the displays are always note-worthy. 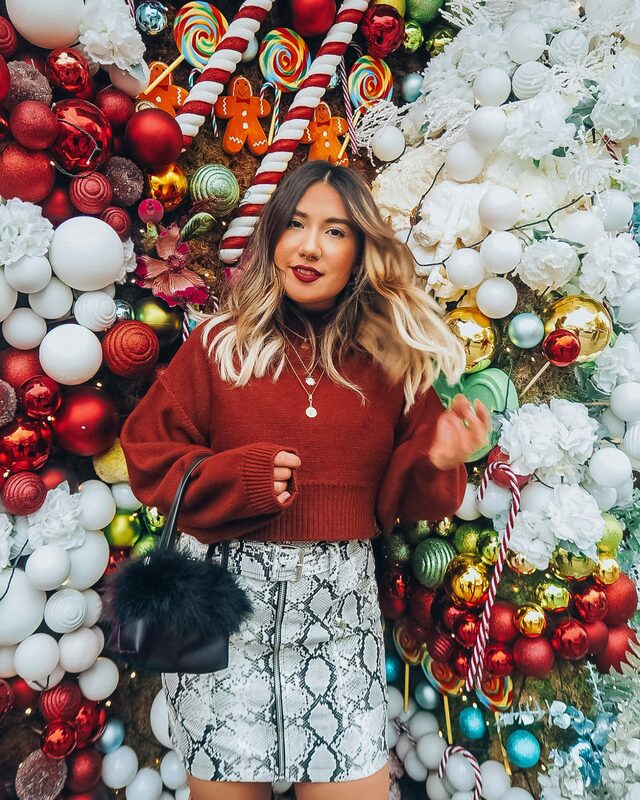 Their festive display is super cute, with fairy lights galore. If you ask at the bar, they’ll put a decoration on the top of your hot chocolate or coffee! TOP TIP – Go eaaaaarly! I cannot stress this enough. I’ve always shot outside here at 8.30am and I’ve still queued with passers by to get “the shot”. I’ve then walked back passed at 11am and the tables are full outside with a queue to take a photo with the display at the front. Unless you’re getting here early, expect a crowd. Next on the list is a wee pit-stop by Moyses Stevens Flowers. 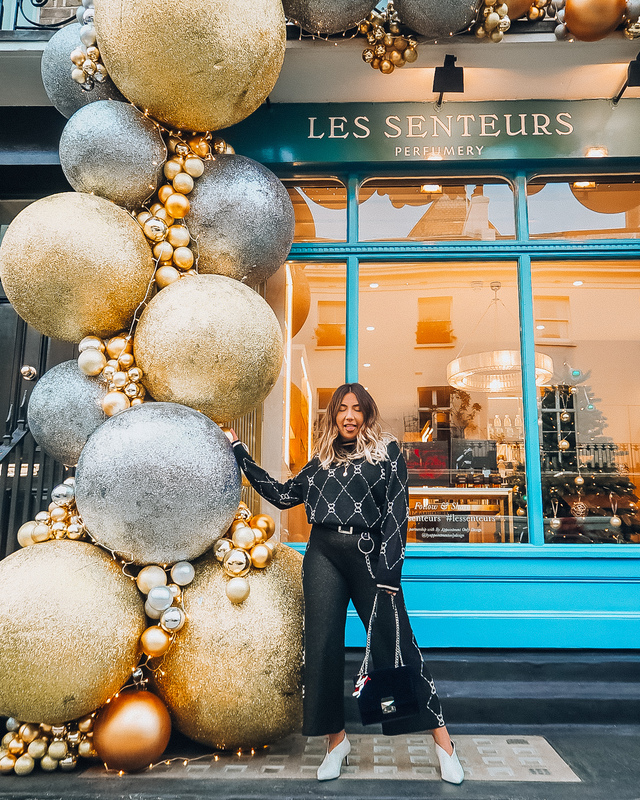 Their displays are beaaaautiful all year round, but this season the hanging baubles are doing bits. The staff are lovely and a thank you goes a long way. Also, make sure to tag them on Instagram so they can see your shot! A few shops down is Les Senteurs and, well, you can’t not spot it! Queue all the “big ball” puns in captions across the Insta-world, it’s pun gold imo. I really adore this bigger-is-better festive display and I saw so many people running over for a quick photo of this big-balled display. 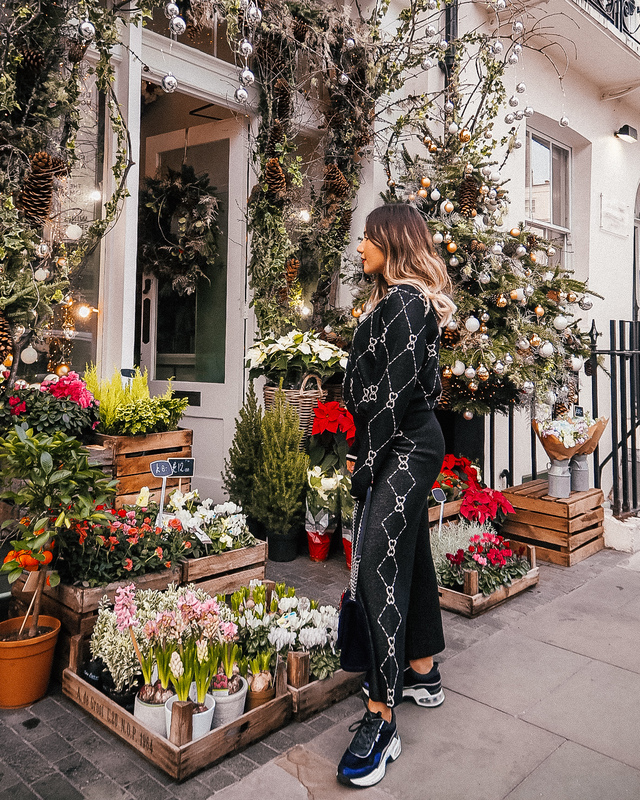 The display is right on the street and there were no problems with cars or traffic or anything, it’s always a pleasure to head down to Belgravia to check out Les Senteurs seasonal displays.